Robert Bowlby Blake (born December 10, 1969) is a Canadian retired professional ice hockey player and the current assistant general manager of the Los Angeles Kings of the National Hockey League (NHL). 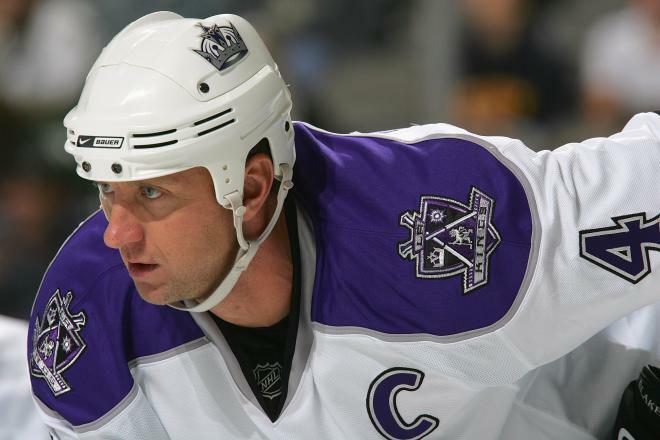 He was originally drafted by the Kings in 1988, appearing in the 1993 Stanley Cup Finals, winning the James Norris Memorial Trophy and serving as team captain for five seasons in his initial 11-season stint with the club. In 2001, Blake was traded to the Colorado Avalanche and helped the team win their second Stanley Cup championship. This was also Blake's first and only time winning the Stanley Cup as a player, though he won the Cup again as a member of the Kings front office in 2014. After a two-season return to Los Angeles, Blake signed with the Sharks in 2008, retiring as its captain after the 2009–10 season. Four years later, in 2014, Blake was elected into the Hockey Hall of Fame.Internationally, Blake played for Team Canada in three consecutive Winter Olympics in 1998, 2002 and 2006, winning gold in 2002 and becoming the eleventh member of the Triple Gold Club.